The guys talk talk about: Reaction to the just-released Iron Man 2 Trailer Avatar, 3 Dev Adam, Transformers: Bumblebee #1 and more Join us on Facebook to participate in the discussion and get exclusive updates. 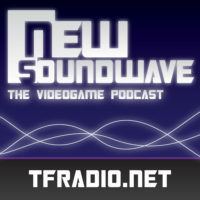 The guys talk talk about: Holiday Buy Guide 2009 Virtual Console/Mega Man 10 Turtles Forever! Join us on Facebook to participate in the discussion and get exclusive updates.